Linux Mint 15 "Olivia", based on Ubuntu 13.04, has been released today and is available, as usual, in two editions: MATE and Cinnamon. Let's take a look at what's new! 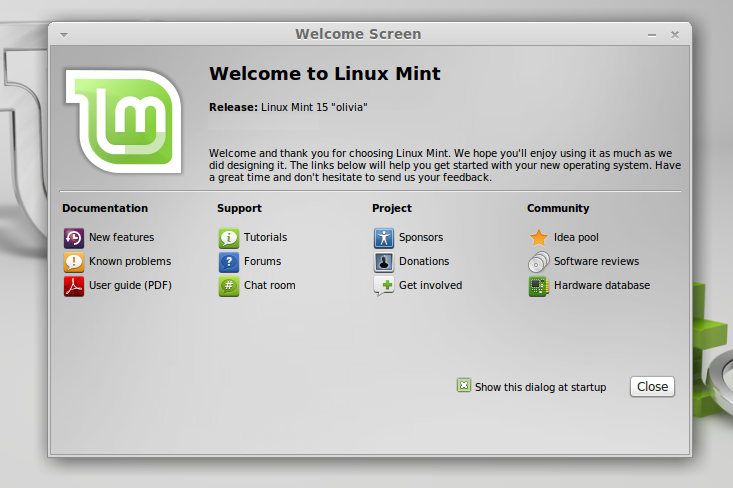 The features below are shared between the two main Linux Mint editions: Cinnamon and MATE. MintSouces allows you to select the mirrors used for the software sources, with an included speed-test tool that lets you select the fastest mirror, easily enable optional components such as backports or unstable packages, enable source code repositories, there's a PPAs tab that lets you add, edit or remove PPAs, add additional repositories, manage authentication keys and so on. On the "Maintenance" tab you'll find a button to fix common APT problems like MergeList issue or purge residual configuration. Among the default MDM HTML themes there's a really nice animated WebGL theme which unfortunately I can't show you here since it would have required a video (and the theme is really slow in VirtualBox). Besides these new features, MDM has also received many bug fixes and under-the-hood improvements. the Software Manager now uses automated pagination, supports searching in a certain category, etc. Both Linux Mint 15 "Olivia" editions share most of the default applications (basically all except for the file manager and other desktop-especific components): Firefox 20.0 (but Firefox 21 is available as an update already), Thunderbird 17.0.6, LibreOffice 4.0.2, GIMP 2.8.4, gThumb 3.0.2, Transmission 2.77, Pidgin 2.10.7, VLC 2.0.6, Totem 3.6.3, Banshee 2.6.0, Tomboy 1.12.0, Brasero 3.6.1, Synaptic 0.80, Mint Backup 2.0.9, Xchat 2.8.8 and more. Also, since Linux Mint 15 is based on Ubuntu 13.04, it uses the same kernel: 3.8 - based on the upstream Linux Kernel 3.8.8, Xorg server 1.13.3 and Mesa 9.1.1. For more about Cinnamon 1.8, including a video and Ubuntu installation instructions, see our article: Cinnamon 1.8 Gets Its Own Control Center And Screensaver, Easier Spices Installation. 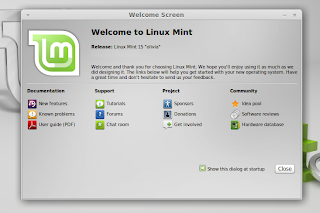 Before downloading Linux Mint 15, make sure you read the known issues!